Like the poignant lament of a Scottish piper, this first collection by the acclaimed Canadian writer (No Great Mischief, p. 410) details the bittersweet lives of the Highlanders and their descendants who settled on Nova Scotia’s Cape Breton Island. Chronologically arranged according to publication date, MacLeod’s 16 tales reflect a lifelong preoccupation with a place, a people, and a language: the Gaelic tongue that everyone once spoke. By the 1980s, the time of “Clearances,” only the old-timers speak the language, since—as the aging protagonist, the last to farm the family land, observes—the Highlanders are now, like other minorities, “trapped in the beautiful prisons of the languages they loved.” Earlier stories are also infused with memories of past sorrows and hardships as characters recall how avaricious landlords forced their ancestors out of the Scottish Highlands, and how, once they landed on the island to contend with treacherous weather and fractious seas, they cleared the land, raised livestock, and fished the waters. 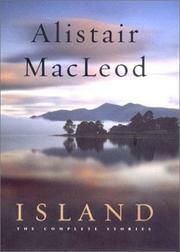 The volume includes the two stories that earned MacLeod inclusion in the Modern Library’s list of the 200 greatest writers in English since 1950. In “The Lost Salt Gift of Blood,” a teacher at a midwestern university returns to see the young son he fathered but never acknowledged, and reluctantly rejects the claims of both fatherhood and the timeless place where the old superstitions linger, and children still catch trout, trap lobsters, and sing Gaelic songs. And “As Birds Bring Forth the Sun” shows how the spectral sighting of a gray dog whose feral pups once killed the ancestor of a Toronto family portends further death. Other pieces depict families losing loved ones to coal-mining disasters, to storms at sea, and more insidiously to cities like Toronto as the fishing dies out, the mines close, and tourists buy up the oceanfront farms. A masterful evocation of a displaced people caught between past and present.